Vogt-Roberts, who directed Kong: Skull Island and The Kings of Summer, is attached to the Metal Gear Solid movie project, which has been in the early stages of development for many years. To say he liked what he saw of Death Stranding would be an understatement. “The world is next-level immaculate. It’s like freebasing pure Kojima & Shinkawa. Remember when FURY ROAD blew you away but also made you (in the best-most-thankful way) ask “wtf” how does this miracle exist? YOU. ARE. NOT. READY,” he tweeted. For those unfamiliar with his work, Yoji Shinkawa is a Japanese artist best known for his character designs from the Metal Gear Solid and Zone of the Enders series. Kojima has allowed some of his other celebrity friends to try out Death Stranding in its pre-release state. The Walking Dead actor Norman Reedus, who plays the game’s main character, Sam Bridges, offered more insight. "The trailers show you an aspect of it, but not a whole picture of what the game will be," Reedus said. "That’s like a whole other thing. It’s complicated, it’s a crazy complicated game. I’ve been learning a lot about video games doing it." 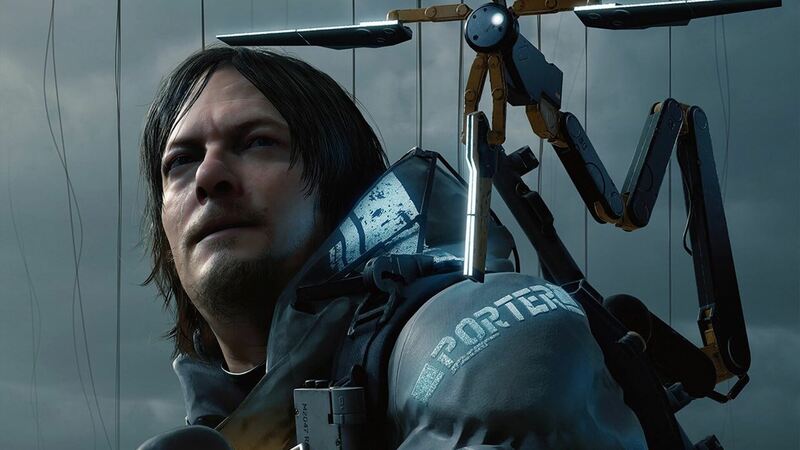 Developers from Guerrilla Games were equally full of praise when they were shown Death Stranding, calling it “masterful” and “amazing.” And Kojima himself said it will be better than any of his previous projects. While there have been several trailers, and the game must obviously be in a playable state, we still don’t know when the PS4 exclusive is expected to launch. Hopefully, this will be the year when we find out if it lives up to the hype. Let's hope that it will live up to the hype. If it does it will most likely become a system seller for the PS5. The longer the hype train, the harder it is to control. I'm actually beginning to worry about the game, given all the positive attention its getting pre-release. Humza and psycros like this. Crazy complicated doesn't sound like a game for the masses. The trailer was repulsing and confusing. I don't know what to expect really. Humza and loki1944 like this. It’s hard to get excited when it’s only for PS4. Sick of these exclusive titles, as though I’m going to own PS4 , Xbox and PC. There’s no excuse now when the hardware is basically the same across all platforms. CorvusCorax and Morris Minor like this. I will not buy this Game, because of the crappy Name. Until I read a comment from a normal gamer I will be skeptical about it, cmon the people that are giving us feedback can be overwhelmed by the technicalities of it and not the game it self... I'm a big Kojima fan but I couldn't finish MGSV the game is boring as hell for me and don't get me wrong MGS 1 is the best game I ever played period. But DS need to see some real game play before I get my expectations out of control. Metal Gear Solid: TIME PARADOX!